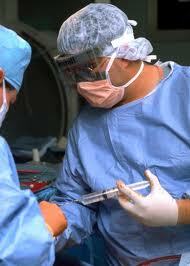 Nurse Anesthetists Research Papers are written about registered nurses in the role of an anesthesiologist. Nurse Anesthetists is one of many research paper topics that Paper Masters provides. Use this topic suggestion as a guide on how to write a paper or order your own custom research paper. Until recently, neither nurse anesthetists nor anesthesia assistants were welcomed by the medical establishment as possible substitutes for anesthesiologists; however, more recently, anesthesiologists have “rolled out the welcome mat” – a step that was symbolically supported by the creation of an "educational affiliate” membership category at the 1999 meeting of the American Society of Anesthesiologists. Cost-cutting process that began to take over the management of healthcare in this country since the early Clinton years. Clinton specifically pushed through a revision to HCFA regulations that would allow registered nurse anesthesiologists to practice without physician supervision. Growth in this field has outstripped demand, creating a glut of anesthesiologists. Anesthesia is one of the most highly contested areas in medicine. Anesthesiologists a few years out of med-school can easily reach salaries that top $300,000 per year – among the highest in the profession. As a result, the only justification for these extravagant salaries is in compensation for the risk undertaken by such practitioners. However, such risk is easily – and far less expensively – managed through insurance. In conducting a cost-effectiveness analysis (CEA) in this case one needs to consider that the procedure administered is virtually identical, regardless of who the administering professional is. Anesthesiologists claim that neither nurses nor assistants can treat patients with the same safety levels that they can, focusing especially on monitoring standards and airway management guidelines. Yet, these are minor issues easily resolved through proper training. Both Assistants as well as nurses can provide better continuity of care than physicians, given that they are both far less expensive and that they are there with the patient – not only more hours every day, but also over the long-term, as such practitioners typically do not come and go as much as residents, fellows and physicians do. History of the Insurance Industry - History of the Insurance Industry research papers examine the last 100 years in light of business ethics. Nursing Care Plans - Nursing Care Plans research papers discuss the set of actions to be undertaken by a nurse in the treatment of a patient. Order a research paper on nursing care plans from Paper Masters. Pharmacology for Nurses - Pharmacology for Nurses research papers discuss the branch in nursing that studies drug interaction. Nursing Ethics Issues - Nursing Ethics Issues research papers ethical issues in nursing and health care organizations. Telehealth Nursing - Telehealth and Nursing research papers discuss this relatively new phenomena and includes important consequences for the nursing professional. History of Nursing Education - History of Nursing Education research papers custom written from Paper Masters for the Nursing Profession. Preoperative Anxiety - Research Papers on preoperative anxiety using Walker and Avant's model for nursing. Neonatal Nurse Practitioner - An individual wishing to become a neonatal nurse practitioner must be a registered nurse (RN), with a Bachelor of Science in Nursing (BSN) degree. Midwives - Midwives Research Papers look at the history of this medical practice and where it originated. Tubal Ligations and Vasectomies - Tubal ligation is a complicated procedure that must be performed on a woman while she is under anesthesia. Acupuncture - Most reports indicate that acupuncture is especially useful in the treatment of pain and as an anesthesia. Paper Masters writes custom research papers on Nurse Anesthetists and are written about registered nurses in the role of an anesthesiologist.